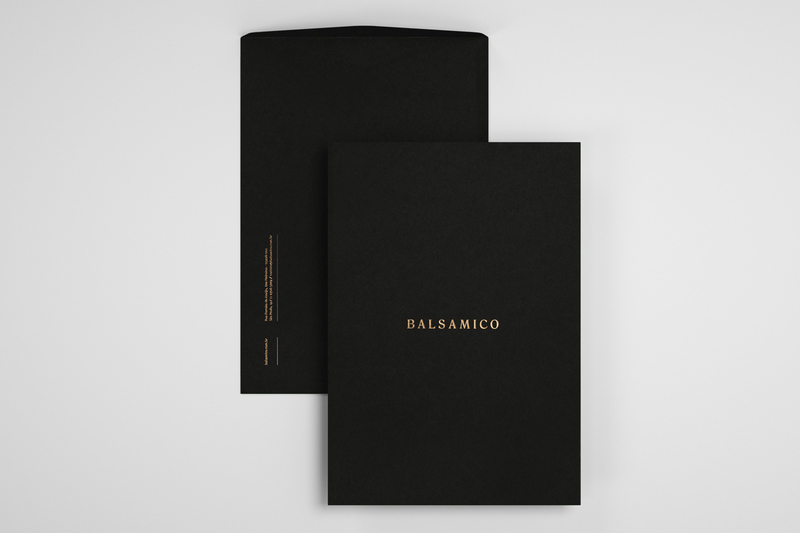 Balsamico is a renowned catering company based in São Paulo, specialized in high-end events and sophisticated dishes with a haute cuisine and customised approach. 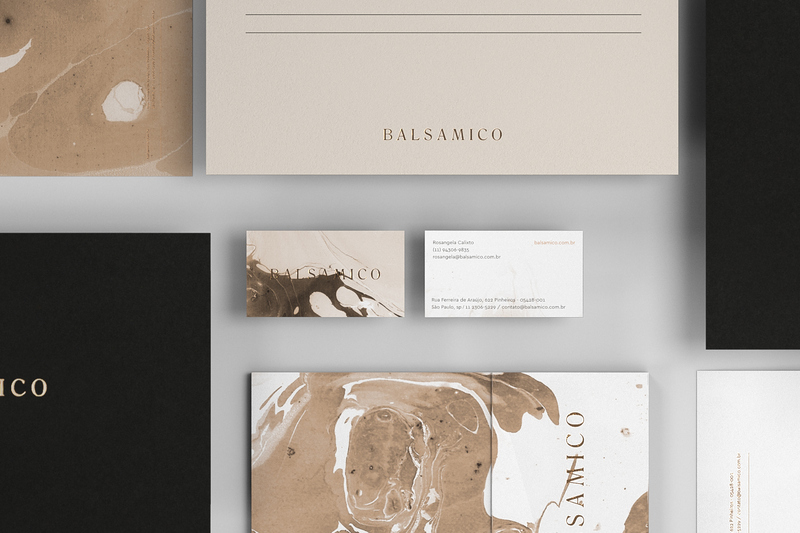 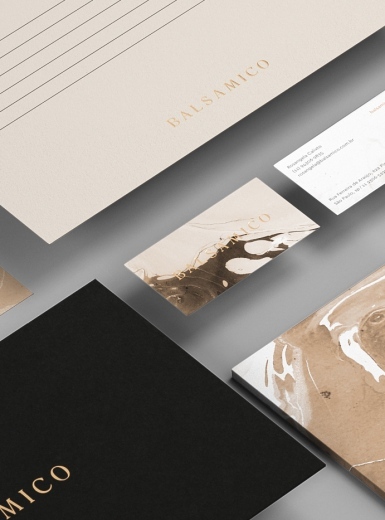 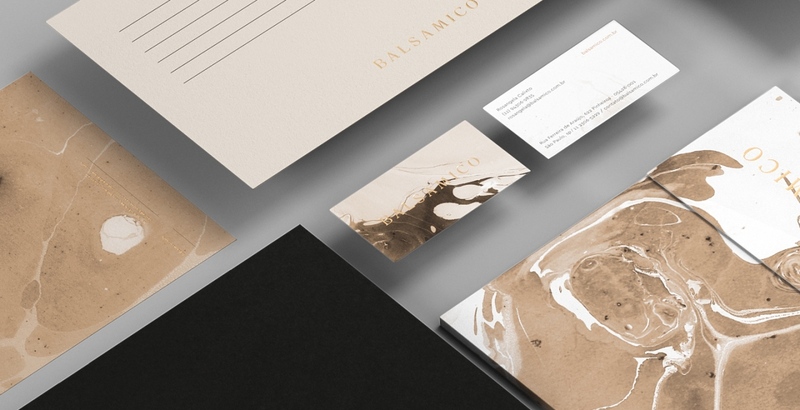 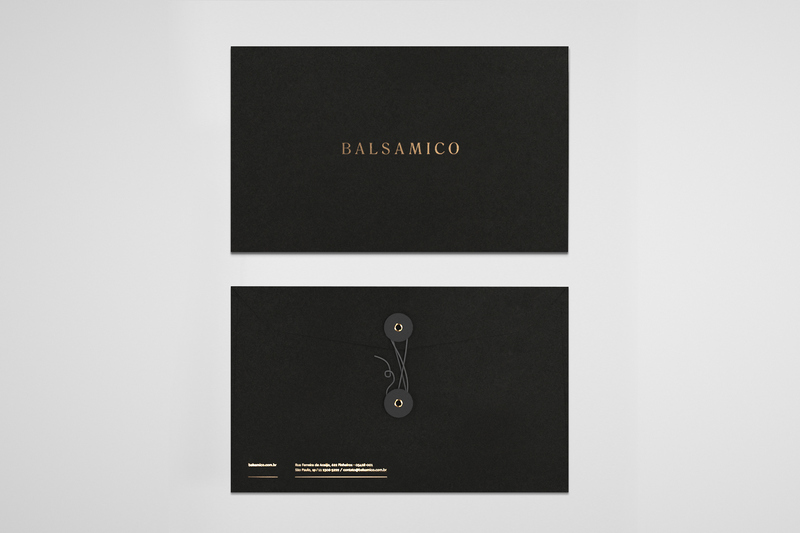 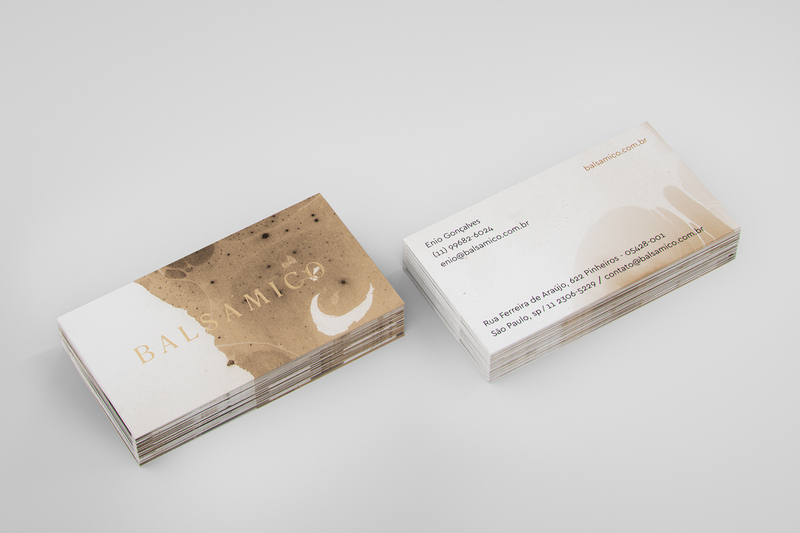 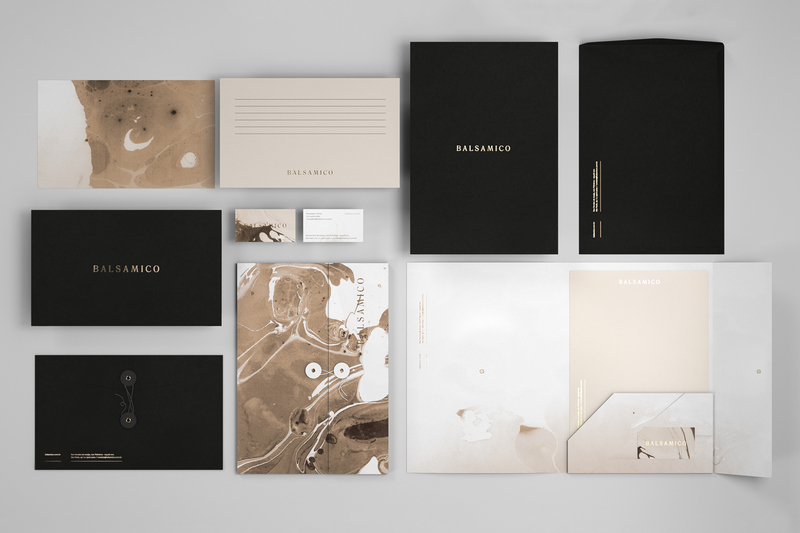 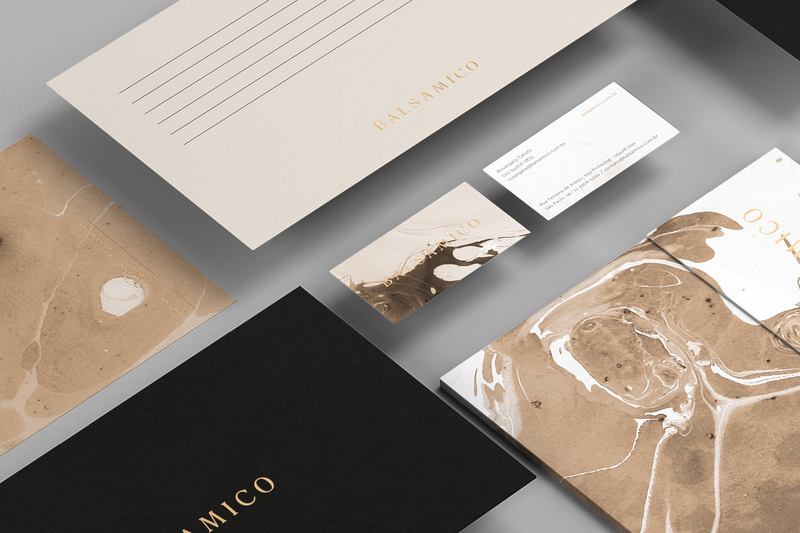 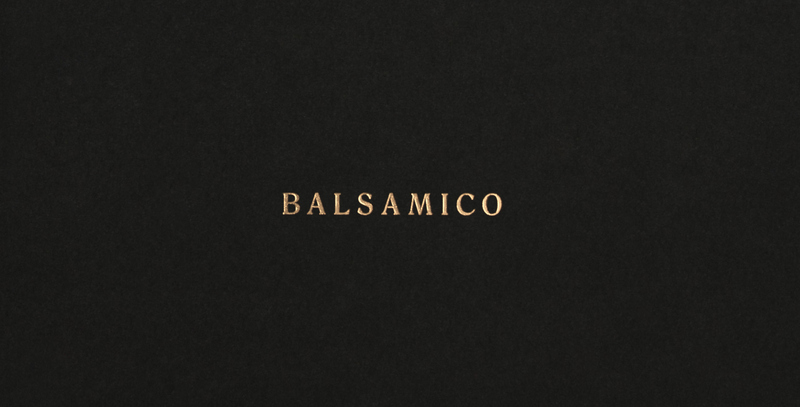 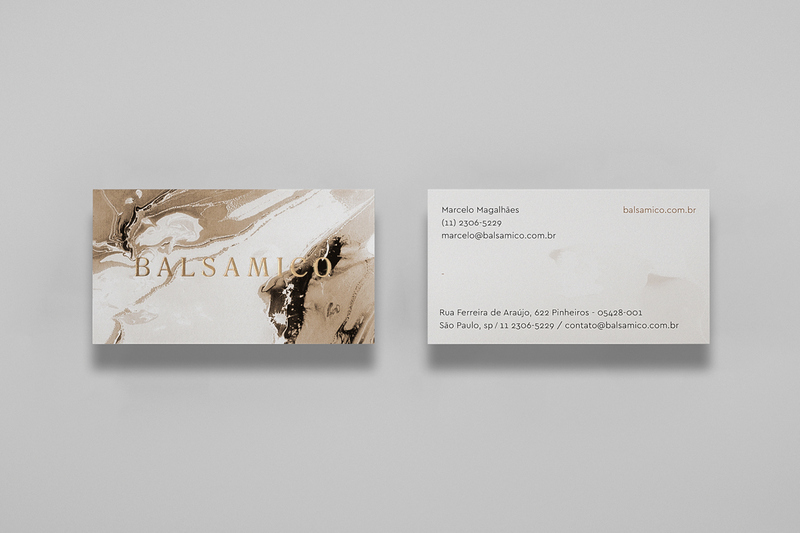 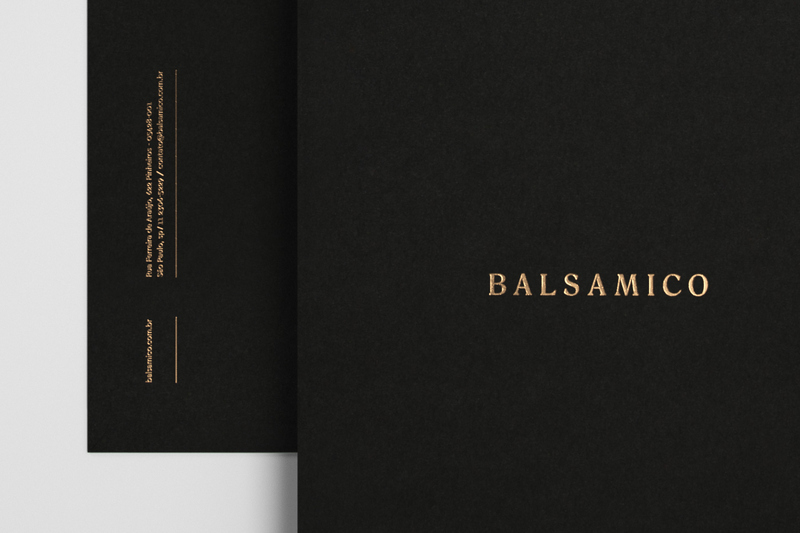 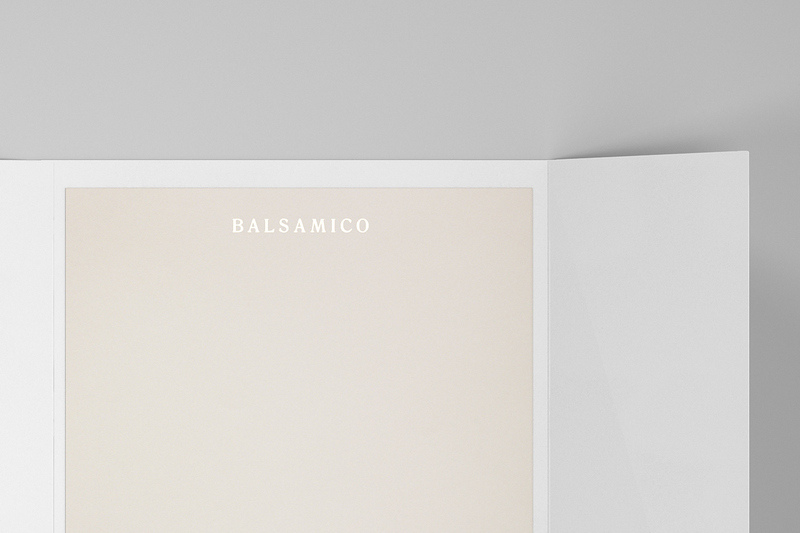 In designing their brand identity, BR/BAUEN worked to understand Balsamico’s essence, their way of conducting their kitchen and how they treat each client. 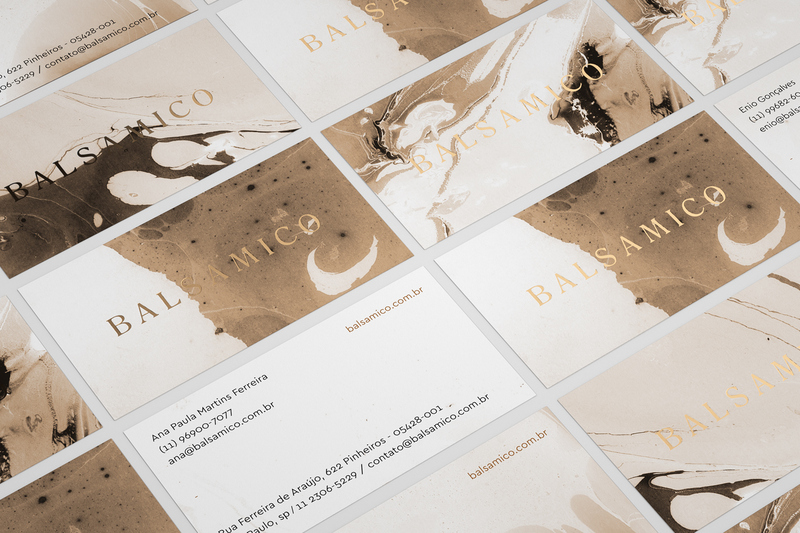 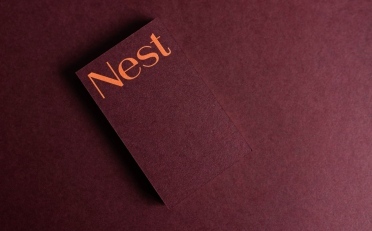 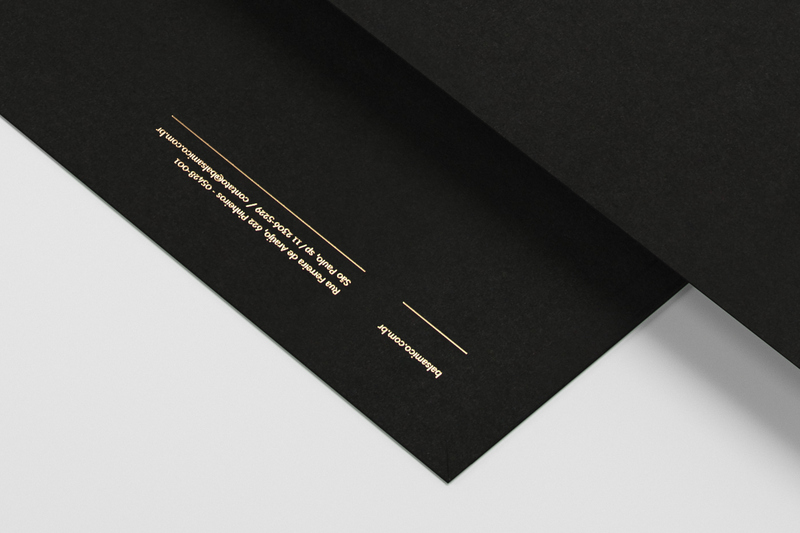 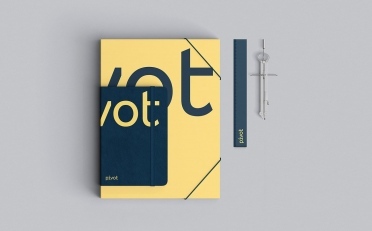 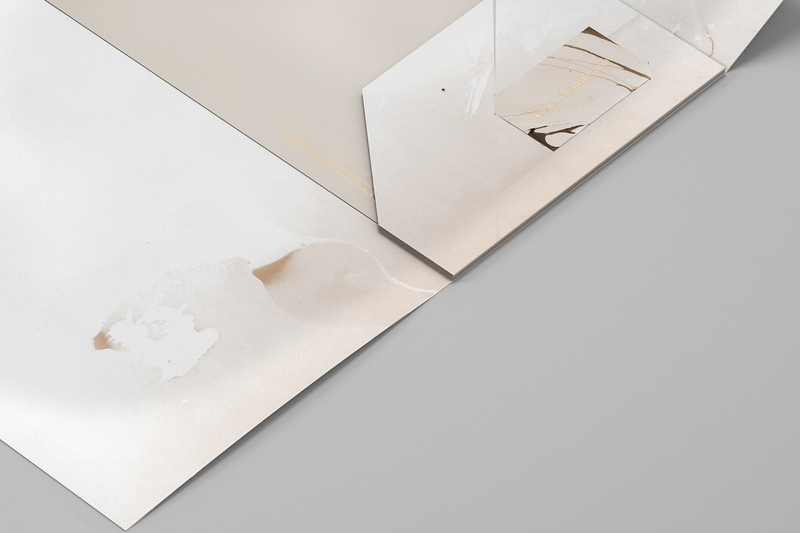 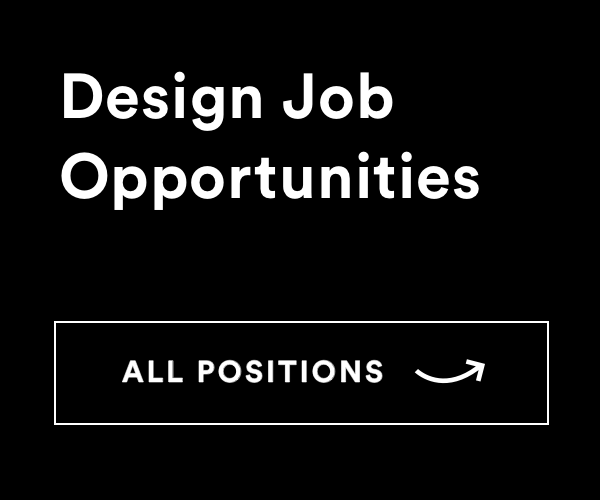 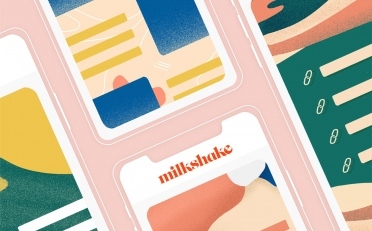 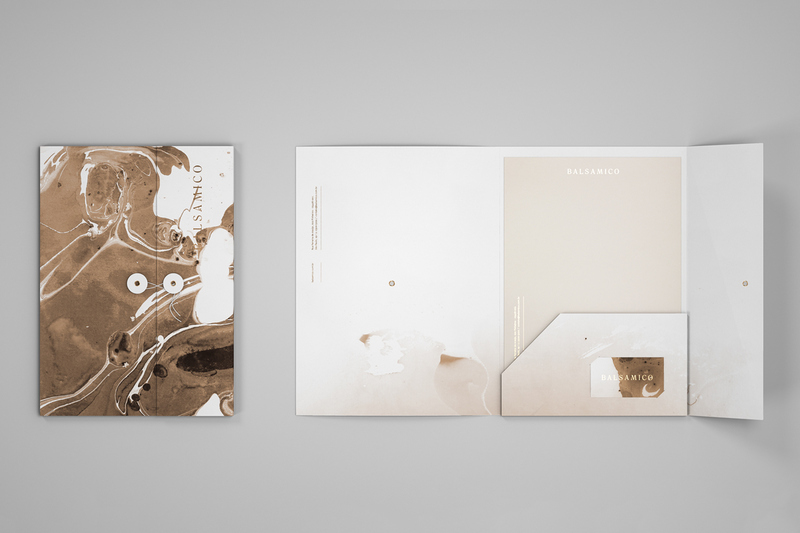 The Brazilian design studio then developed a new identity system that fully reflected the company’s catering’s sophistication as well as doing justice to the way each event is carefully tailored and customised to be unique. 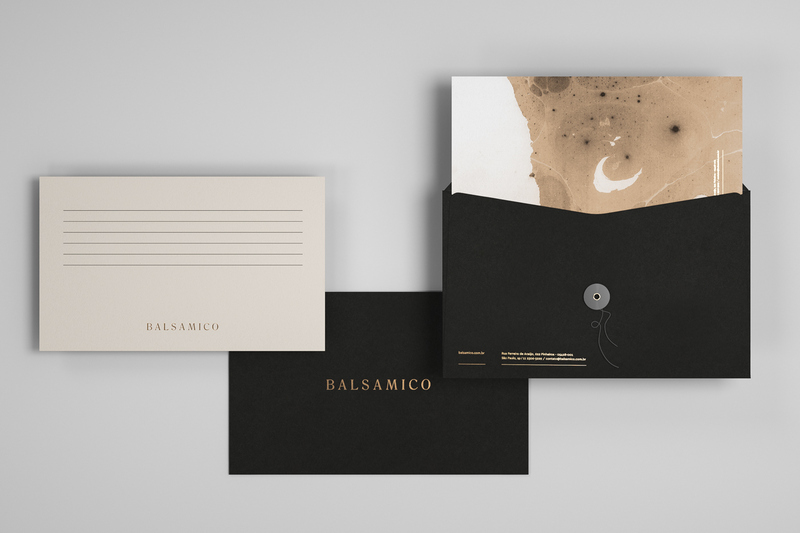 BR/BAUEN say, ‘Inspiration for the brand identity was born from an extremely poetic narrative, treating Balsamico as an art piece, and not just a business… How gorgeous would it be if the “aceto balsamico” itself was poured on various brand identity touchpoints? 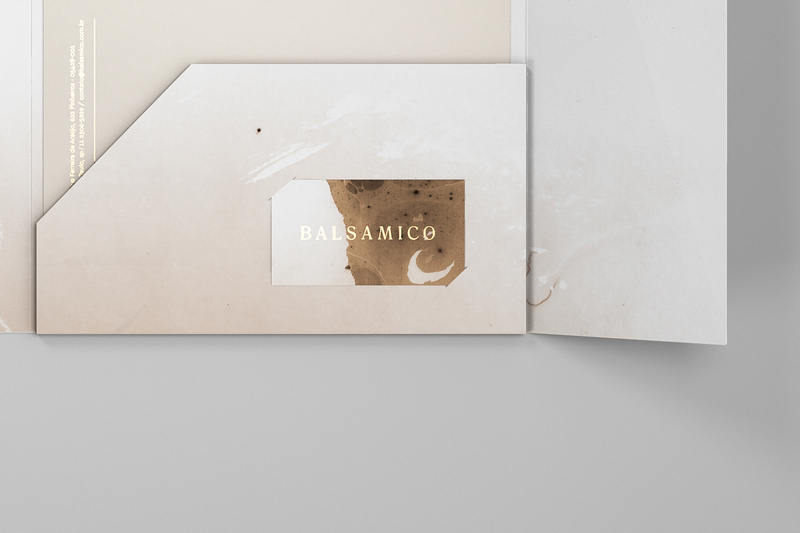 Based on this principle, we used the “suminagashi” technique to develop unique paintings that would directly relate to the brand name, making every piece of it a work of art.